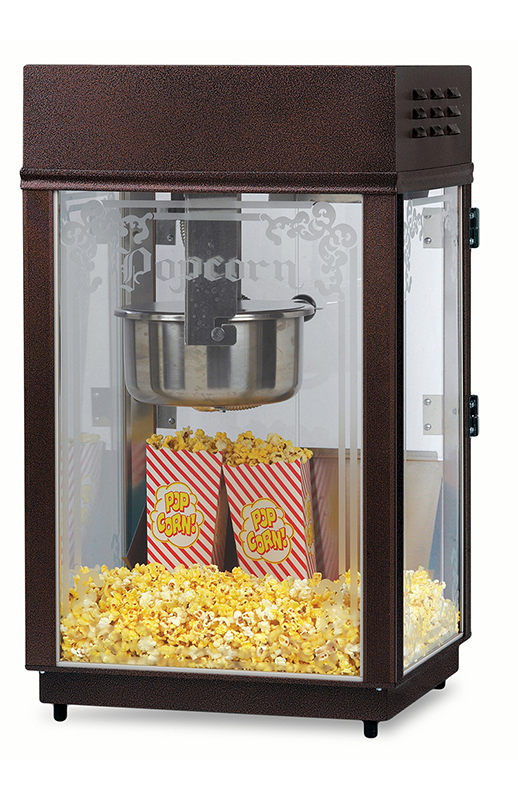 As with all Gold Medal Deluxe 6oz popcorn machines, the Kingery features rugged construction – attractive woodgrain vinyl covering on the steel dome, welded aluminum extrusion cabinet for long life. The attractive "etched” glass is a touch of class! Best of all the easy clean kettle. If you have to clean the kettle in your popper, you need Gold Medal’s cleaners #2095 Heatn’clean or #2172 Fast Off, but more importantly, you need an EZ Kleen kettle. "Two layer metal” is stainless steel on the cook surface and aluminum next to the heating element.